DJ and dancing, food, trivia, karaoke, and so much more! It’s so fun, it’s scary! Co-curricular activities are central to the development of Kalamazoo College students. 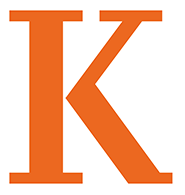 Quality entertainment, great social events, and leadership opportunities enrich student life at Kalamazoo College. A variety of activities, open to all K students throughout the year, help students balance academics with social engagement and bring a social commonality to the student body. The Office of Student Involvement offers many fun events throughout the year including movies, crafts, concerts, and late night events. The Kalamazoo College Campus Engagement Organization is a student led committee which strives to unite the student body by providing a variety of fun and healthy outlets while offering its members opportunities for campus leadership and involvement. CEO sponsors many events throughout the year. Check out the Office of Student Involvement website for detailed descriptions of sponsored activities.